Nine years ago today, I got engaged. Or possibly it was nine years ago yesterday. And to be honest, the engagement anniversary might be tomorrow, or even the day after that. I asked my husband, and he can't remember either. We do both remember we got engaged the same day we moved in together, but we don't remember what day we got our apartment, that awesome first New York City apartment. Awesome, and four non-elevatored flights up. The next year we got married in January, and our daughter was born that December. And then we didn't last too much longer as a couple with a baby in our fourth story walk-up, but it was great while it lasted. Yesterday I saw my mom. I asked her, "Do you remember when Mike and I got engaged?" She replied, "Why, was it today?" And I said, "That's exactly my question - was it today? We can't remember." And do you know what this sweet grandmother replied? I'm not sure if grandma is right or not, but my email doesn't go back that far, (I switched all my accounts to my new married name, and the old ones are gone now) so I guess I'll never know. 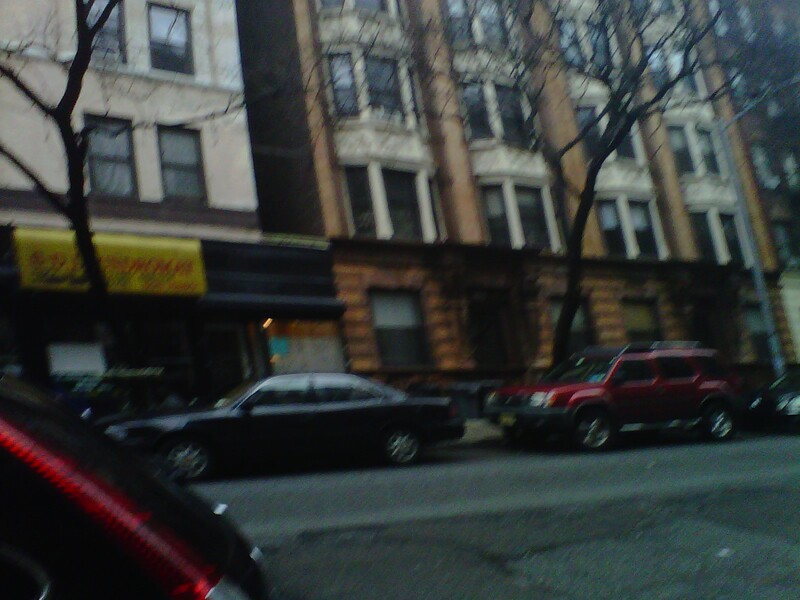 I do still have photos of our old apartment, including one I took just a few weeks ago. Our stretch of street between Broadway and Amsterdam still looks the same. ﻿But the neighborhood has changed so much. The popular Sarabeth's is still on one end (we used to be able to look out our window to assess the line before heading there for brunch), and H&H﻿ Bagels is on the other, though it is closing soon. 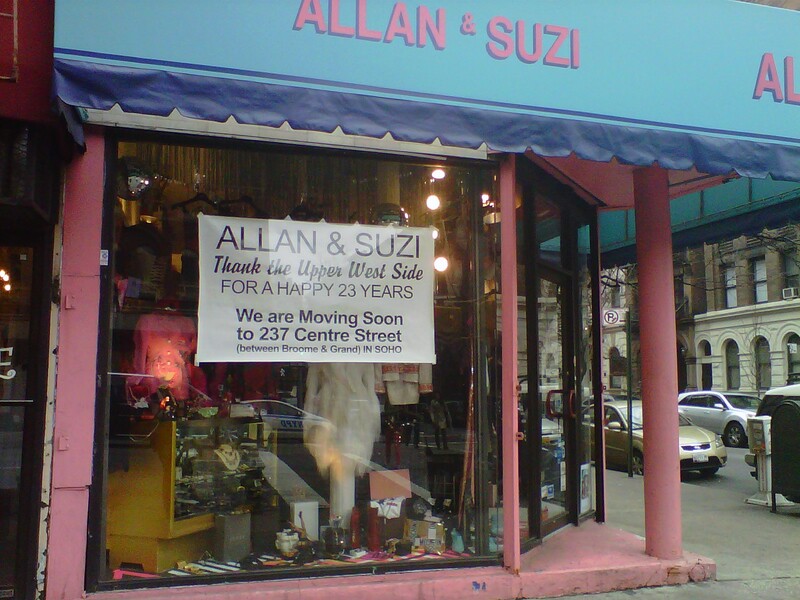 A bunch of other favorite places are also now closed, and many, like Allan & Suzi (four doors down from our apartment, and where I got my wedding dress) are moving to a new neighborhood. So there you have it. Lots of memories of the old neighborhood. But no recollection of the date we got engaged. Do you remember the day you got engaged? Should I make my husband find our old lease to solve the mystery, or do you agree with my mom... who cares? I remembered we were fighting and not a fake fight but we could have broken up if I didn't say what I said and he didn't say what he said... No idea the day or anything but I said sure. Sure? Ours was November 1st at the fountains at Lincoln Center. The date is easy, so I lucked out. I'm actually always confused whether it is feb. 10 or 11th, my husband always remembers and plays games with me every February. :) and I agree, it really doesn't matter. I think the fact you remember so many details of HOW you built your life together matters FAR more. Her response of who cares completely cracks me up! I don't remember the day of my engagement either, and I guess it really doesn't matter. She's right! I only remember because it was a week after Harv came to visit me in LA. Had it been something really complicated like a week and a day or even ten days, I totally wouldn't remember. I'll be frank. 99% of the time, I can't even remember the our wedding date. Or Harv's birthday. Frankly, we should all be thankful I know my own name.